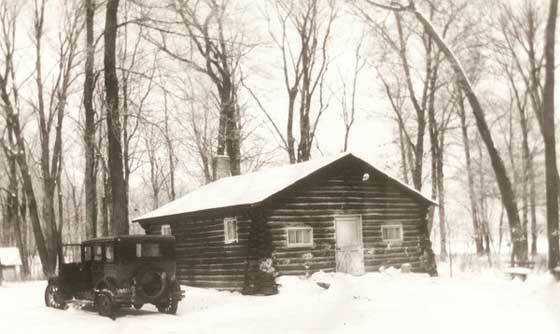 The Scout Cabin is located adjacent to U. S. 30, the Lincoln Highway, on the former campgrounds. The United Methodist Church of New Lenox is now the owner of the property. From 1865 until 1968 the campgrounds were owned by the Rock River Conference of the Methodist Episcopal Church, later the United Methodist Church. Religious camp meetings were held there from 1867 until World War I. Also camping, otherwise known as fresh air experiences, were, held for children from urban areas as far away as Chicago. Mr. Arvid Swanson, a member of the Methodist Church, was the superintendent of the pole yards which was located in the area known as Brisbane in south New Lenox. In the late 1920s he donated poles to the campground for the construction of a boy scout cabin. With the help of other men from the congregation and community, the cabin was built. In 1963, the United Methodist Church of New Lenox assumed ownership of the property. All buildings on the campgrounds were destroyed except the Scout Cabin. 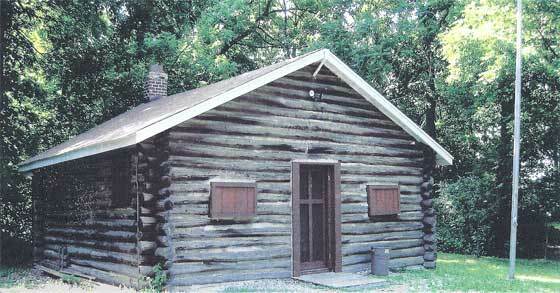 Today the Scout Cabin remains essentially in appearance as it was built. Repairs and improvements have been added over the years. At one time a fire destroyed the roof, but the cabin was reroofed and other repairs completed. The facilities of the campgrounds have been used by community groups, including boy scouts, girl scouts, vacation Bible schools, garden club shows.